Benalla and District University of the Third Age, or U3A, provides opportunities for learning and social interaction to help older people no longer in full time employment keep physically & mentally alert. 30 courses and activities are being offered in 2017. To find out more about a particular group, click on Groups on the menu at the top of the page. There are no prerequisites or exams! The next newsletter deadline is 19th April at midday. .Our monthly newsletter will be posted or emailed at the end of that week. The website's home page, group pages, and daily calendar & monthly calendar are updated at this time. I have served one and a half terms as President and am now resigning from that position. ​The Executive Committee has appointed Dorothy Webber as President and she will complete the one year term remaining, before being eligible to stand for President in 2018. Bill Parris is standing as Vice President for a one year term and will be eligible to stand for a two year term in 2018. Geraldine McCorkell has nominated as Secretary and Corrie Witlox was nominated as Treasurer. 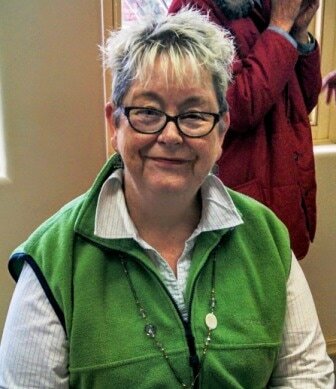 Judith Borthwick as Publicity Officer will complete a 2 year term.I will remain on the Executive as Past President. ​ I want to thank the Executive Committee for their support,, particularly Lorraine and Geraldine whose help was greatly appreciated when I was new to the role. Welcome to my first President’s Report. Thank you to the Committee for having faith in me. I am looking forward to an exciting and challenging year as we make changes and extensions to our program because of our move, in June, to the Senior Citizens building. Renovations to the Senior Citizens rooms have commenced. I would like to take this opportunity to thank Terry Case for his three years as President. Terry has been a driving force in our achieving a permanent home. Over the next few weeks I will endeavour to get around to a lot of groups in order to meet those of you I don’t know. Bob Borschmann died on Friday March 24 whilst watching his much loved Bulldogs in their first 2017 game. Bob was a much loved foundation member of U3A Benalla, having joined in 1988. He remained an active member for the five years before it ceased to function in 1993 due to lack of numbers (about 10 members) and of accommodation. He immediately rejoined U3A Benalla when it was restarted in 1996. He participated in a number of programs which then were resumed, including ‘Investment’ and ‘Politics’. A key contribution was made by Bob several years later when he persuaded the Rotary Club of Benalla to fund the purchase of a quality electronic piano still used at singing sessions each fortnight. ​He continued his warm relationship with many U3A members, as well as other organisatons including Rotary. ​Bright and cheery to the end reaching 88, an age he never expected. His long life enriched us all. ​Bob Borschmann's commemorative service was held on Friday 31st March, at 11 am at the Uniting Church.